Bosendorfer pianos have unique characteristics of tone and details of construction. Among the makers of European craft built pianos, quality standards are very high. However, even in that demanding group, there are some features and qualities that set Bosendorfer apart. They are very important aspects of the piano and the brand. 1. Absolute highest quality in materials and craftsmanship, regardless of price. Bosendorfer has rigorous standards that are applied to everything, from the brass content in the hinges to the level of training and skill needed to progress from apprentice. 2. 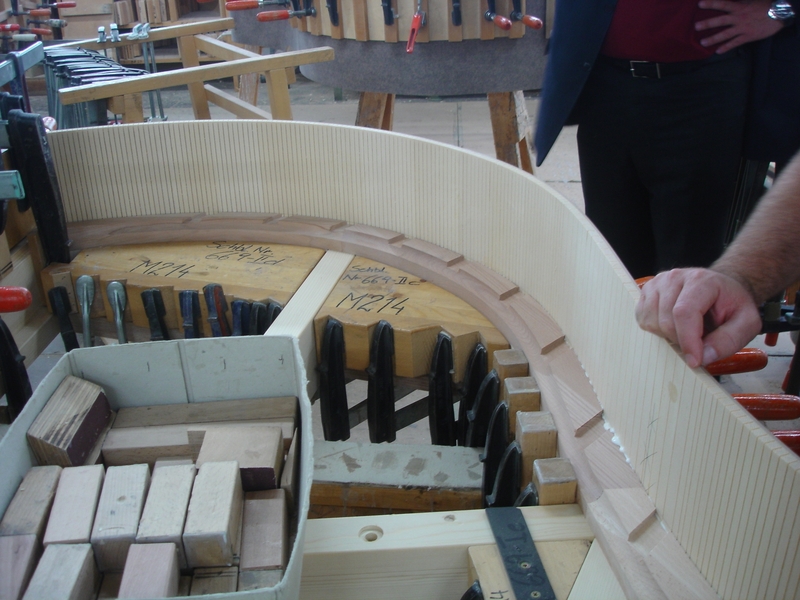 Solid spruce wood case construction, especially our method of constructing the outer rim. Nobody else does this and it adds substantially to the cost of a Bosendorfer. 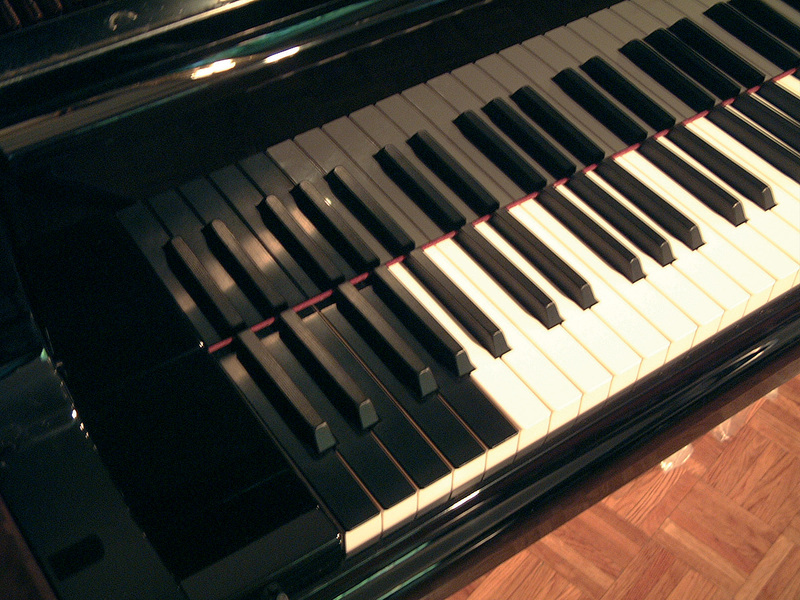 This feature is perhaps the single most important feature in giving Bosendorfer its distinctive tone. Go to the Bosendorfer piano Youtube site to learn more about the unique solid spruce inner and outer rim construction. 3. No kiln drying of wood. All wood is air dried, never kiln dried. 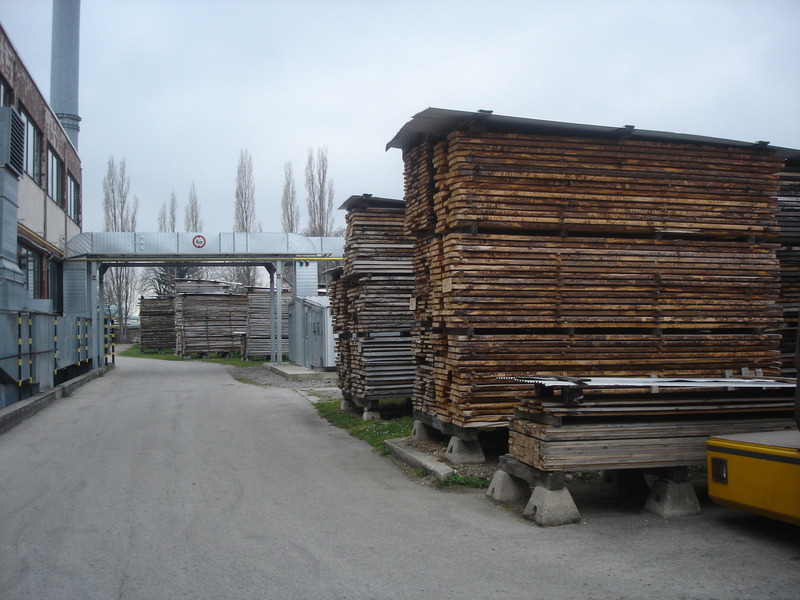 This adds substantial time to the overall construction process, since the wood must be air dried outside the factory for 3 to 5 years. The capo bar is one of the most critical parts of a piano. 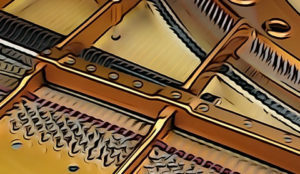 It acts as the string termination point for the treble section, where most melodies occur.
. On most pianos the capo bar is “cast” in as part of the casting process of the complete cast iron plate. There are problems with this approach. The first is accuracy. You are limited by how accurate (or, better to say, inaccurate) your casting may be. Second the capo bar on most pianos is unsupported, leading to flexing that robs the treble strings of much of their power. The Bosendorfer capo bar is cast separately, of hardened steel and is precisely installed in exactly the right spot. Then it is anchored over its span by a series of machine screws.Nobody else does this. While it adds substantially to the cost of a Bosendorfer it contributes to our treble quality and greatly adds to the ability to maintain a piano at the highest level over the years. 5. Extended keyboard on models 225 and 290. Nobody else does this and it is one of the most important features of our approach to piano building. This feature adds soundboard space and moves the lowest notes of the regular keyboard away from the edge of the case to a more responsive part of the soundboard, giving the Imperial its customary dramatic and impressive bass. 6. 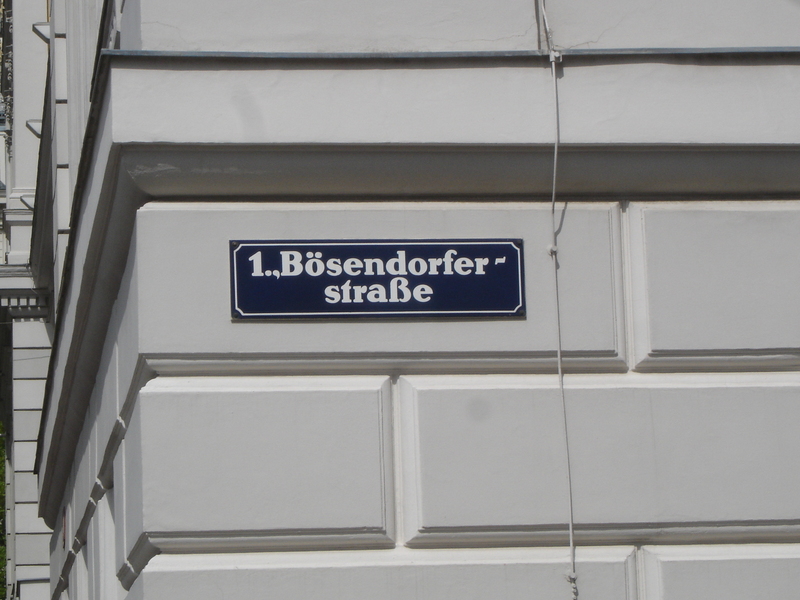 Bosendorfers place in the history of Vienna and therefore the history of music. Mozart died in Vienna just 37 years before Ignaz Bosendorfer started the company. This means that it is possible that Ignaz Bosendorfer’s father heard Mozart perform! Vienna was the absolute center of music until well into the 20th century (Schoenberg, Mahler, Webern). This is the home and heritage of Bosendorfer. Remember, the Bosendorfer is not designed to sound like any other piano. It is entirely its own instrument and potential owners must understand that point. When skillfully introduced to the world of Bosendorfer, especially our unique sound, potential customers become lifelong partners. Go here for videos of Bosendorfer construction techniques.